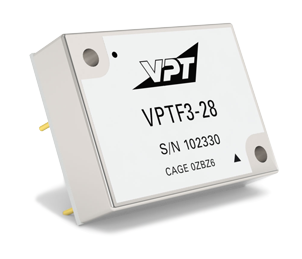 VPTF3-28 EMI Filter | VPT, Inc. The VPTF3-28 EMI filter filters conducted emissions of up to two VPT15-2800S Series DC-DC converters. (1) Transient time up to 1 second. (2) Measured at 500kHz.